First things first. 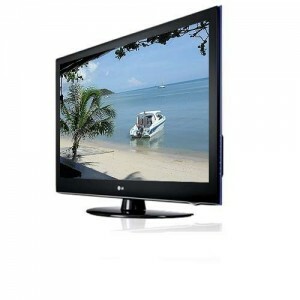 The LG 47LD950 uses the passive/polarised 3D system. Why’s this, we hear you cry? It does go against the grain a tad as most of the latest crop of 3D televisions have gone down the active shutter route. Cost, is the most obvious reason, especially if you’re looking to buy a new 3D TV for a large household. Remember, active shutter glasses are currently coming in at around a ton a pair. Taking the passive approach means you only need to shell out for a load of ‘polaroids’, and these can be had for a few quid a pair. 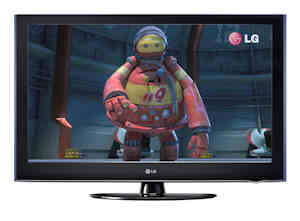 In fact, you might not even need any anyway as LG includes a generous four pairs with this particular telly. The only other major ‘need-to-know’ with LG’s Passive 3D TV is because it is passive, it’s not full 1080p 3D as the TVs standard 1920×1080 pixel count needs to be shared between the ‘left and right’ images. Ho, hum. While we’re on about the downers, it’s probably best to mention the rest of the negative points regarding this 3D TV. First off, for the price, you may think you’re looking at a nice LED lit screen. Sorry, no. This is a standard LCD (CCFL) screen, although that may be your preference anyway until LED is more developed. As this is a full 1080 HD TV in 2D mode, it comes as a surprise to only find an SD Freeview tuner built in. There is also no network connectivity in either LAN or WLAN form meaning this is not a DLNA compatible TV and it also can’t hook in to LGs own Internet content. Still, on to the positives! Video, music and photos can be played by plugging in your USB device – who needs LAN? Connectivity-wise, there are 4 v1.4 HDMI inputs, a PC DSub plus the usual array of digital, audio, component and SCART sockets. To help the picture along, there is a nice 200Mhz Trumotion image processing engine. In use is where this TV again divides. Being a Sky 3D TVs chosen ‘partner’, the LG screens should work well with a Sky 3D source. And they do. Sky’s chosen broadcast method suits these passive tellies down to a tee so the 47LD950 is a good choice if you’re main 3D diet is to consist of Sky programming. If, however, you’re intending to throw a healthy dose of 3D Blu-ray goodness its way, you’re probably best off looking elsewhere as it is here where the passive approach is detrimental to your viewing pleasure. The full HD of the Blu-ray source, once halved for the 3D experience, is left looking like it’s seen better days with the clarity, vibrance and sharpness all reduced markedly. 2D HD sources do not trouble the 47LD950 at all and you’re in for a quite a treat with the quality of picture on offer, especially from a CCFL. 2D SD pictures aren’t quite as good, however, meaning that overall, the 2D aspects can’t completely save it’s 3D failings. So, as always, try it out for yourself. 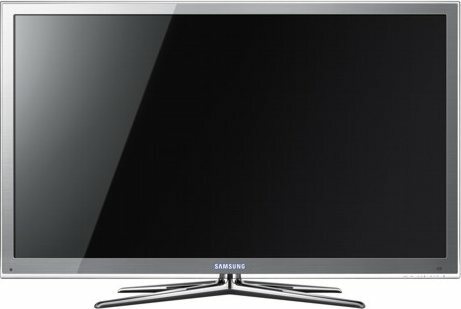 Depending on your main source of viewing and how many people are likely to be crowded around your living room will have an influence as whether this TV is for you or not.